** See Size Ranges image above. 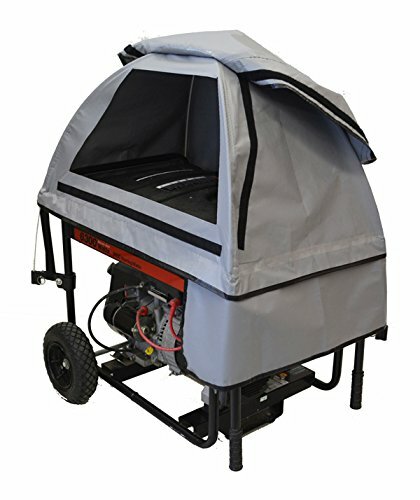 Not for RIDGID RD series, Honda EU6500is or similar fully enclosed generators, or generators with non-folding, fixed handles. Go direct to GenTent for these models. Don’t let Weather Kill Your Power! Assembled in USA GenTent® 10k Stormbracer® Edition in GreySkies color with four universal frame adapters! (Search Amazon for Tan GenTent also) Do you use your portable generator in wet weather? Of course! Do you feel safe doing so? 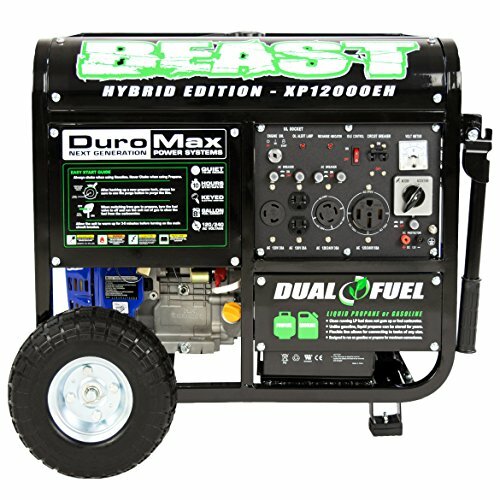 Many people run portable generators in the garage because manufacturers warn to never use the generator in wet weather. Read your user guide, or the warning labels on your generator! 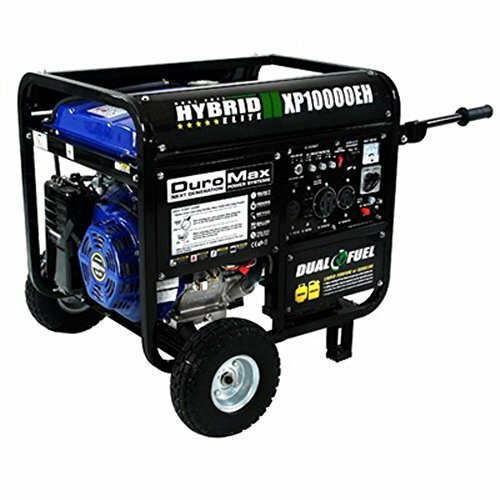 Why can’t portable generators be used in wet weather? Because water can get into the electrical outlets. You risk damaging your generator and electrocution if the electrical panel gets wet. 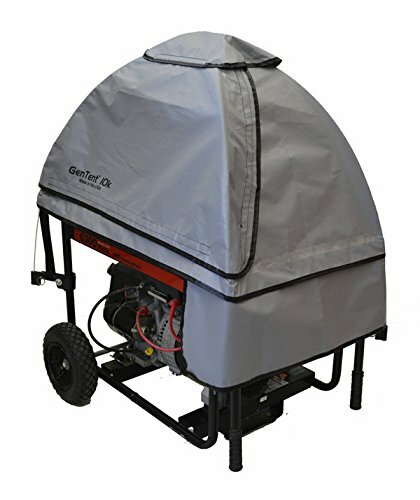 Finally, you can run your portable generator in rain and wet weather with the GenTent, the best way to keep your portable generator safe to use in wet weather. 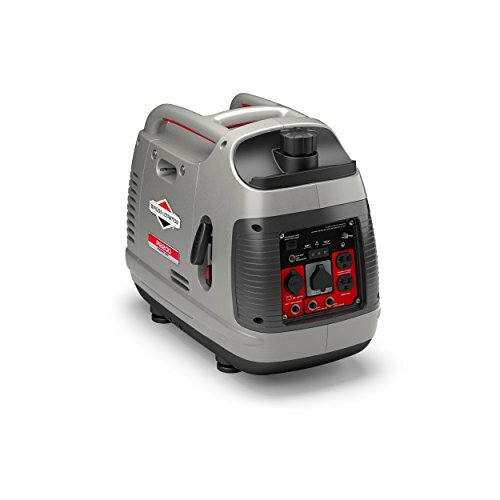 Grey with black trim, the GenTent provides a pleasing finished look to your portable generator, while keeping it safe to use in wet weather of nearly any kind. Independent Lab and real world storm tested to withstands winds up to 70mph and snow up to 18″. The GenTent ships complete with electrical outlet protection skirts to cover electrical outlet side. GenTent includes a universal clamping system that allows the GenTent to fit nicely on a wide range of portable generators from approx 3,500 watts up to 10,000 watts**. 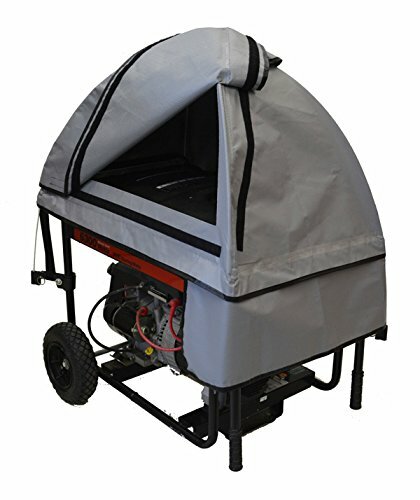 GenTent design maintains proper cooling airflow to your portable generator unlike dog house or other enclosures that can cause overheating. Adapters are included for generators with muffler heat shields, panels, small frames and square frames making this kit near universal (most cases GenTent is direct connect, no adapters required). Assembled in USA, 1 yr canopy warranty/3 yr hardware warranty.